Imagine a small, simple, colour-accurate light source designed for image capture with the versatility of power and mounting options to go anywhere you need it. Cineo Lighting and Litegear have teamed up to develop the Matchstix series of small, versatile Remote Phosphor light sources. Matchstix operate from any DC power source from 11.5 to 16 VDC, including many battery options. Standard co-ax DC power connector permits the use of a large variety of power supply options. 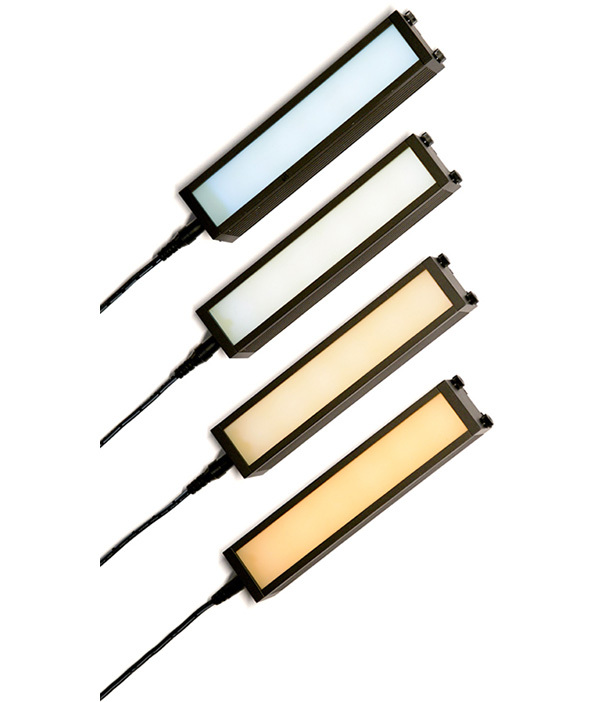 Matchstix are optimized for flawless, flicker-free control with Litegear Litedimmers. Only 35mm wide, Matchstix are available in 3", 6" and 12" lengths and are surprisingly bright for their size. 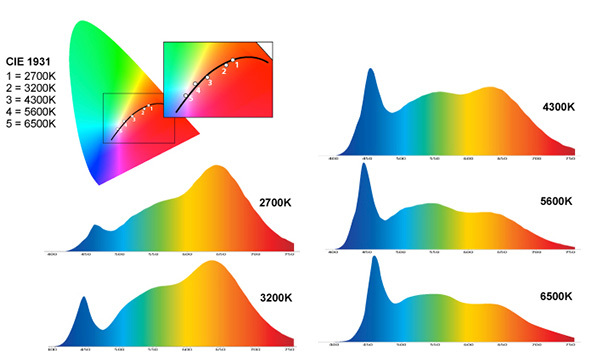 Available in all Cineo colour temperatures their colour quality perfectly matches all other Cineo softlights. The back side of all Matchstix includes a standard cold-shoe slot for limitless mounting options virtually anywhere. 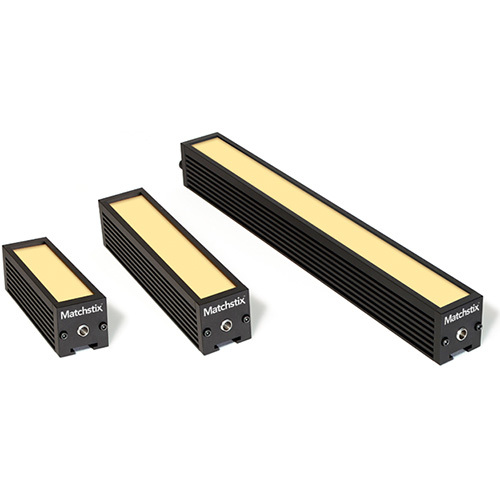 Matchstix delivers an unprecedented volume of soft light optimized for image capture. 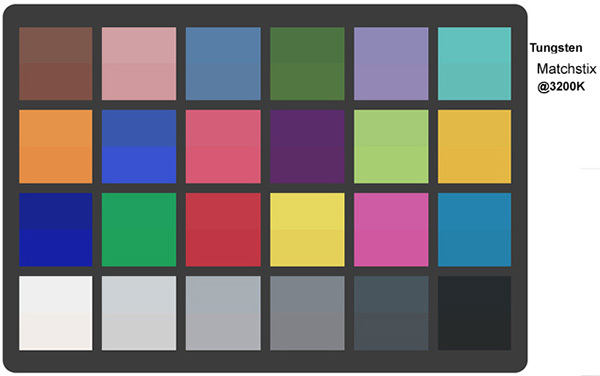 The CRI chart below displays measurements for Matchstix in the extended colour range for five colour temperatures. To the right of the CRI is a table showing results based on the new TLCI standard. The split colour chart below shows the colour response Matchstix @ 3200K and tungsten split across each sample with tungsten on top. A CIE 1931 graph and spectral data as measured by a spectrometer for the three colour temperatures is shown below. LiteGear 4-Channel DMX controller kit for Matchstix, 4A per channel. Includes all connection cables and 15A power supply. 700.0032 Matchstix co-ax extension cable - 3 ft.
Matchstix co-ax extension cable - 6 ft.
900.0052 AC Power Cord - Edison to Locking IEC, 6 ft.